We’d love your help. Let us know what’s wrong with this preview of Torpedo by Roger Branfill-Cook. The torpedo was the greatest single game-changer in the history of naval warfare. For the first time it allowed a small, cheap torpedo-firing vessel--and by extension a small, minor navy--to threaten the largest and most powerful warships afloat. The traditional concept of seapower, based on huge fleets of expensive capital ships, required radical rethinking because of thi The torpedo was the greatest single game-changer in the history of naval warfare. For the first time it allowed a small, cheap torpedo-firing vessel--and by extension a small, minor navy--to threaten the largest and most powerful warships afloat. The traditional concept of seapower, based on huge fleets of expensive capital ships, required radical rethinking because of this important naval weapon. This book is a broadranging international history of the weapon, tracing not only its origins and technical progress down to the present day, but also its massive impact on all subsequent naval wars. 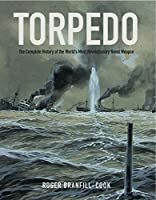 To ask other readers questions about Torpedo, please sign up. 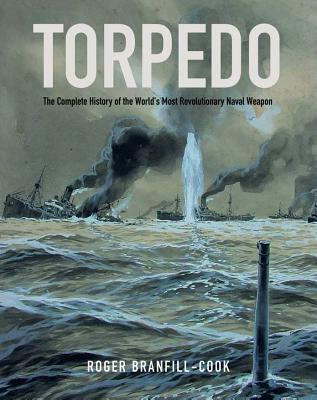 If you are into torpedoes, then this is the book. Some great stories among a lot of technical detail. This book covers everything and points to books that can fill in other areas as well. Roger Branfill-Cook is a professional translator from French into English. He has written numerous articles for specialist magazines and is both a novelist and an author of non-fiction books.